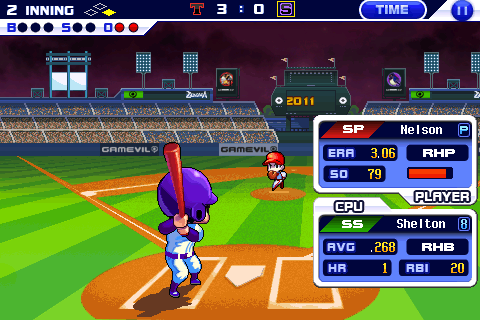 The latest in the Gamevil baseball series, Baseball Superstars ’11, delivers a good strike to the classic ballgame. Having played both of the previous titles, I can say that this one truly is an improvement. 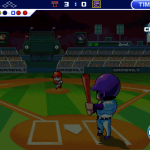 Months ago, I did a small post regarding a classic NES baseball game: RBI Baseball. 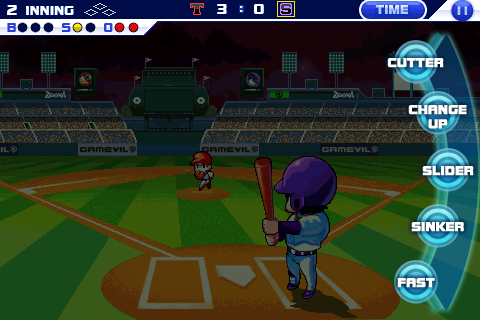 Playing Baseball Superstars ’11 reminds me of RBI baseball. 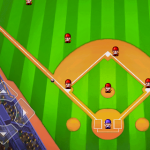 The game is easy to play, allows for you to just pick up where you left off, and overall is a very enjoyable experience. 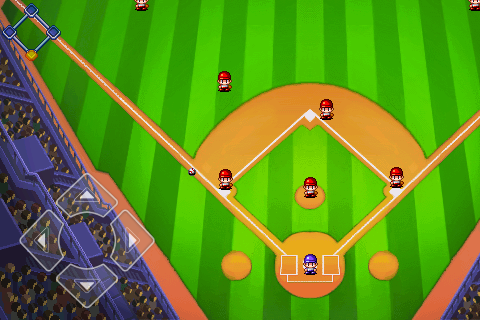 You’re able to play multiple game modes, from single exhibition games to full careers with a character. As before, RPG elements are included, allowing for you to improve your player’s skills and abilities as the game progresses. 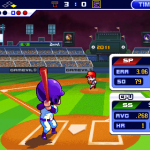 With some humorous elements thrown in via a subtly laid story, simple baseball gameplay, and the ability to stop and resume playing a game at any point, Baseball Superstars ’11 is definitely worth checking out.